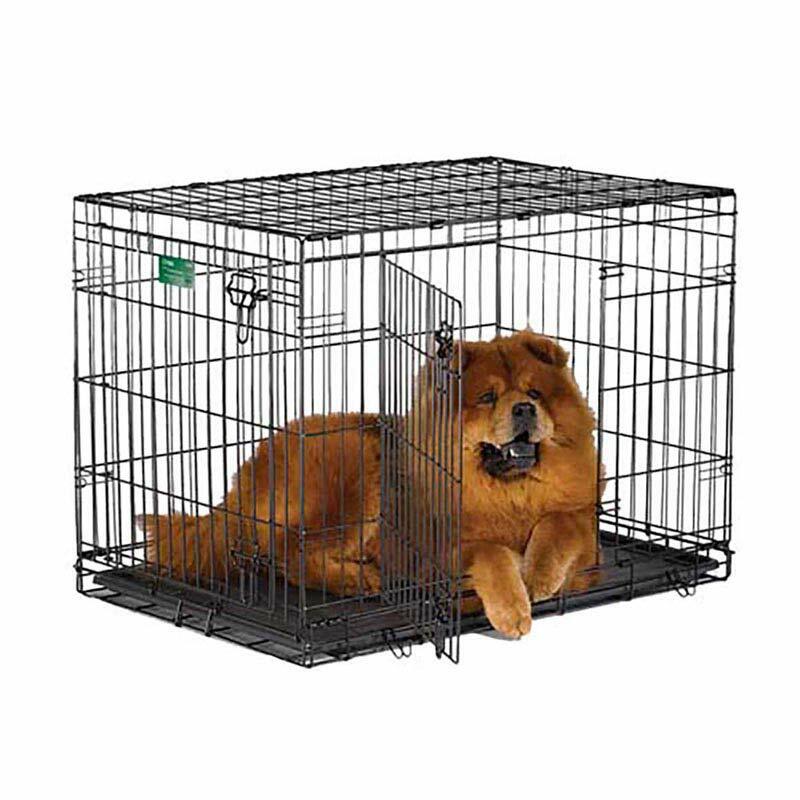 Midwest Icrate Double Door 36" X 23" X 25"
Crate training cuts housebreaking time in half! iCrates set up and fold down to a portable size without tools. They feature a durable, satin black, electro-coat finish. The door has secure and safe slide-bolt latch. Includes a tough, easy to clean plastic pan. Divider panel is also included and allows you to adjust length of living area as puppy grows. Double doors offer increased versatility. Replacement part for M1536DD: Pan M28PAN, Divider Panel M1536DPN, Floor Grid MFG36B.